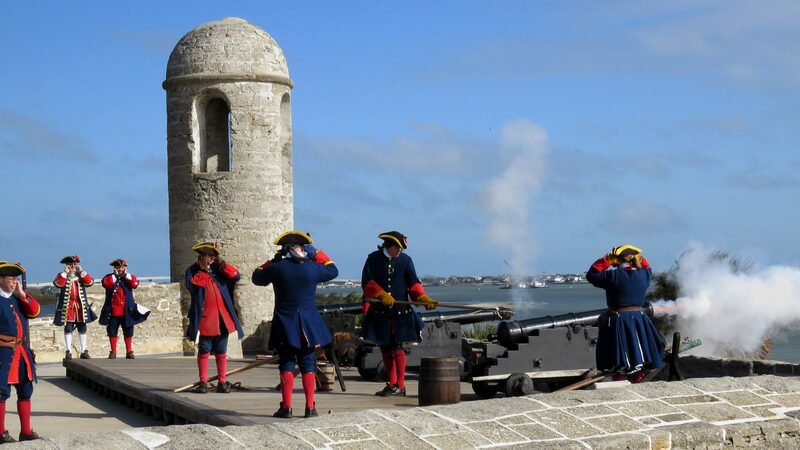 When we visited St. Augustine, we toured Castillo de San Marcos, a national monument now, where reenactors portray 18th-century Spanish soldiers. Built to repel first the English and then Americans, you could think of it as a not so successful wall. It could not prevent the annexation of Florida by the US. Static fortifications seldom succeed in the face of dynamic forces. History is rife with examples. The Great Wall could not prevent the Mongols from conquering China and the Maginot Line didn’t stop the Germans. So, I don’t see why anyone thinks that a southern border wall will prevent illegal immigration. Especially since most undocumented people enter the US legally and overstay their visa. I don’t really have a dog in this fight, since my family members are all citizens, plus I have ancestors that came to America even before San Marcos did. Even they were immigrants though. We are a nation of immigrants. Once, that idea distinguished us from other countries. What ever happened to the ideal of Give me your tired, your poor, Your huddled masses yearning to breathe free? I said that I am not personally affected by this debate, but I am touched by it. It hurts me to witness my country doing wrong. This is not the first time that the US has turned nativist, but it is happening again now and I don’t like it. This entry was posted in History, Photography, Politics by RegenAxe. Bookmark the permalink. Trump needs to be in a walled prison!